Benidorm is a seaside resort on the Spanish coast (the Costa Blanca). Benidorm is 41 kilometers from Alicante. The city has about 66,642 inhabitants (2016). 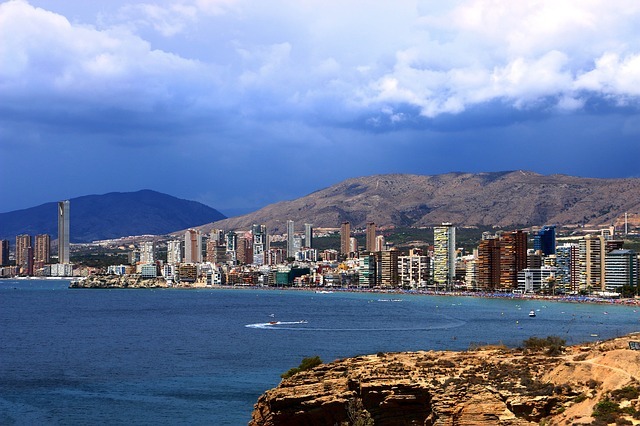 Benidorm used to be a small fishing village and now it’s one of the most famous seaside resorts in Europe. The population can reach over 500,000 people in the summer. The historic center of Benidorm is located on a promontory that separates the two large beaches. These are the Levante beach (the ‘new’ Benidorm) and the Poniente beach (the ‘old’ Benidorm). The historic center is the old fishing village. Benidorm also has a third (smaller) beach, this is Mas Pal. Discover Benidorm already by reading this article and we know that you will soon plan a trip to Benidorm. Benidorm is the most popular tourist attraction in Spain after Madrid and Barcelona. In Belgium and the Netherlands, Benidorm is mainly known as a place to spend the winter for the elderly. Especially Dutch, Belgian and British pensioners spend the winter here. When the summer begins, this place is filled with families and young people who are doing enjoying the nightlife. Benidorm has the largest number of hotel beds in Europe after Paris. Due to the large number of hotels and apartments Benidorm has the largest number of high buildings (35m and higher). Because of these tall buildings and the fact that in Benidorm the summers are filled with people and nightlife and Benidorm ‘doesn’t sleep’ just like Ney York, the city is also called Beniyork sometimes. For almost every visitor, Benidorm’s most striking attraction is the two extensive city beaches, Levante and Poniente. It’s always busy at Levante, but if you go to Benidorm a little earlier or later in the season and travel to the far west, you can enjoy the beach of Poniente. It’s a lot less crowded there and the view you can enjoy is a reward, golden sand and a breathtaking blue sea. There is a super relaxed atmosphere and the place is surrounded by restaurants where you can enjoy delicious Spanish dishes such as Paella. 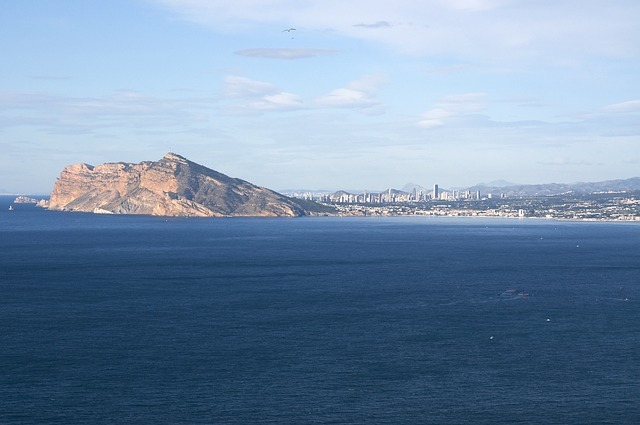 Discover Benidorm in the right way by visiting the most beautiful part of Benidorm. You have to love this, the old city. On a spot on a hill between the two beautiful beaches. In the evening it’s wonderful to stroll around in the evening through the narrow streets and the charming buildings or sit on a terrace with a glass of wine. You can admire the sunset from the Mirador where the castle once stood. Street vendors and musicians will fill the squares with entertainment in the evening. Are you a lover of picturesque architecture? You can fully enjoy that in Benidorm. The city is surrounded on all sides by a beautiful landscape. 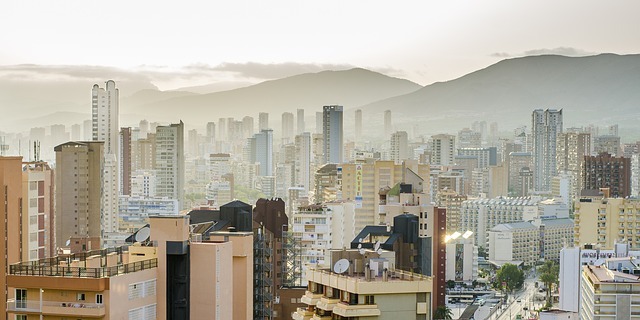 Benidorm is a compact city designed to spur upwards instead of out, making it quick and easy to escape from all those tall buildings and immerse yourself in the natural beauty that is characteristic of this part from Spain. Walk to the Sierra Helada Natural Park in the east of the city, here you will once again be rewarded by the most fantastic views. Here you have the chance to go to the beautiful, secluded coves in Cala Almadrada and Cala Tio Ximo for a dive in a relaxed and peaceful atmosphere. It’s also very nice to rent an electric bike (at Tao Bike) and to explore the beautiful surroundings. The cross of Benidorm is also worth a visit (this can still be done on foot). From here you have a truly breathtaking view over the coast, the mountains and a beautiful skyline. At sunset you almost feel like you’re in Rio instead of Benidorm. In the north of the city is the rugged landscape of the Sierra Cortina mountains. Rent a bicycle or car to discover this part. Even better is choosing a jeep safari where the guide will take you to the Leon Dormido mountain and other beautiful places. Benidorm is a versatile place where you will have plenty to do and therefore you won’t get bored. Discover Benidorm on foot, by bike or in the car. Are you looking for more beautiful places in Spain? We have a top 5 of the most beautiful undiscovered Spanish places for you to read and perhaps to plan your next trip to Spain to.